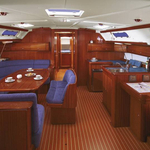 Sailboat Bavaria 49 called Afrodita II has been built in 2005. We propose this boat from marina Sukosan in surrounding area of Zadar. Afrodita II is licensed for 12 crew members. Layout of the sailing boat is 12. 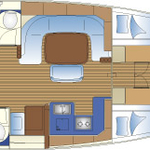 Bavaria 49 Afrodita II has 5 cabins. For comfort of passengers there are 3 bathrooms. You can fill the diesel tank with 320.00 l l. and in tank for water it goes even 650.00 l liters. With engine VOLVO 55 kw Afrodita II can navigate really fast. Afrodita II is 15.40 m long and 4.46 meters wide. 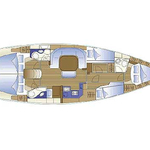 Depth is 1.80 m. Analyze other boats here: Yacht charter Sukosan. Vessel's equipment consists of : Gps plotter, Autopilot, Radio / cd player, Bed linen, Furling mainsail, Anchor electric windlass, Dinghy, Bimini top, Bow thruster. . Security deposit accounts for 2000.00 EUR. 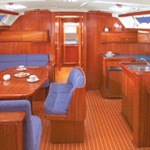 Choose our offer and spend great time on the deck of Afrodita II. 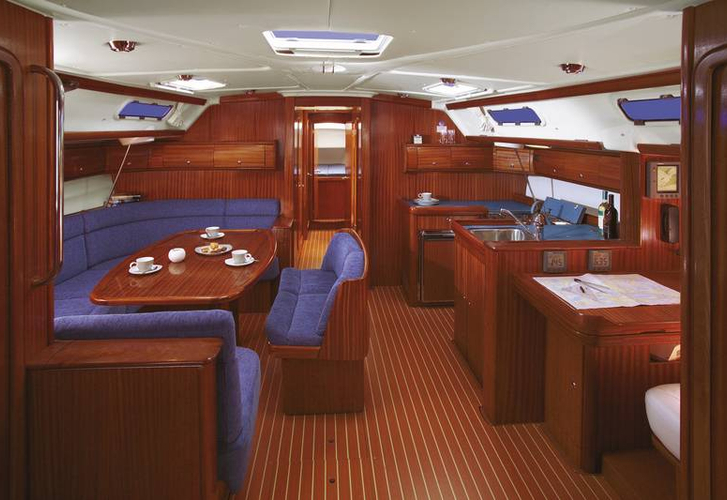 This Bavaria 49 from Sukosan from Croatia Search for right here: Yacht charter Croatia.